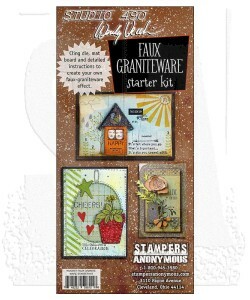 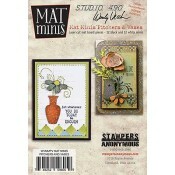 This Faux Graniteware Starter Kit is your must-have for making nearly any surface look like granite - mat board, glass, metal, art parts, card stock, die-cuts, Clearly For Art - even bare wood. 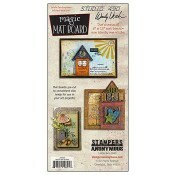 The possibilities are nearly endless! 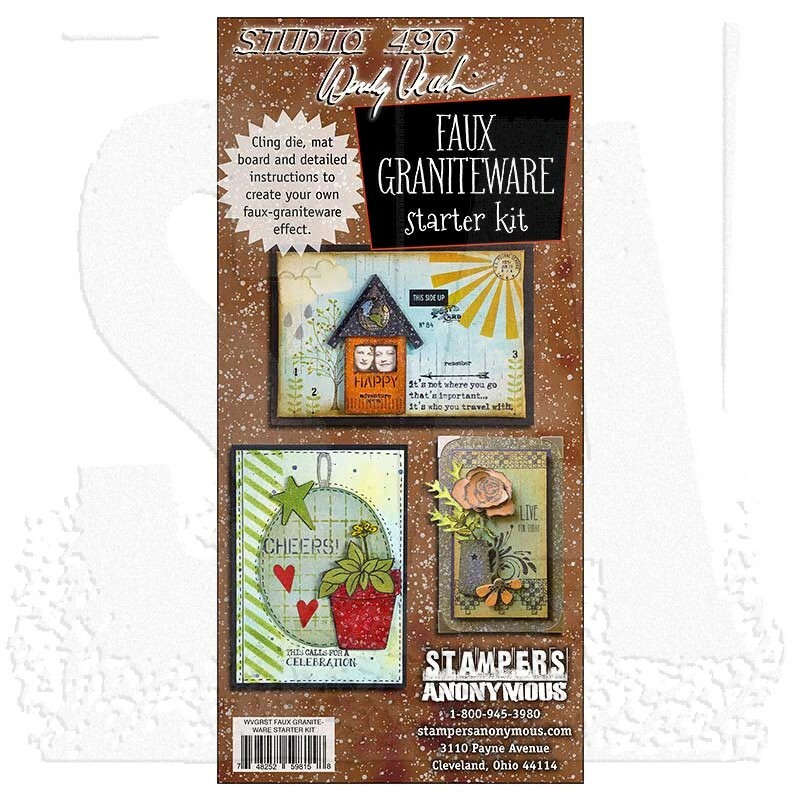 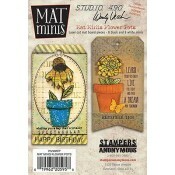 Package includes spatter cling mount stamp, mat board, a supplies list, and detailed instructions to create your own faux graniteware effect.